White blood cells. 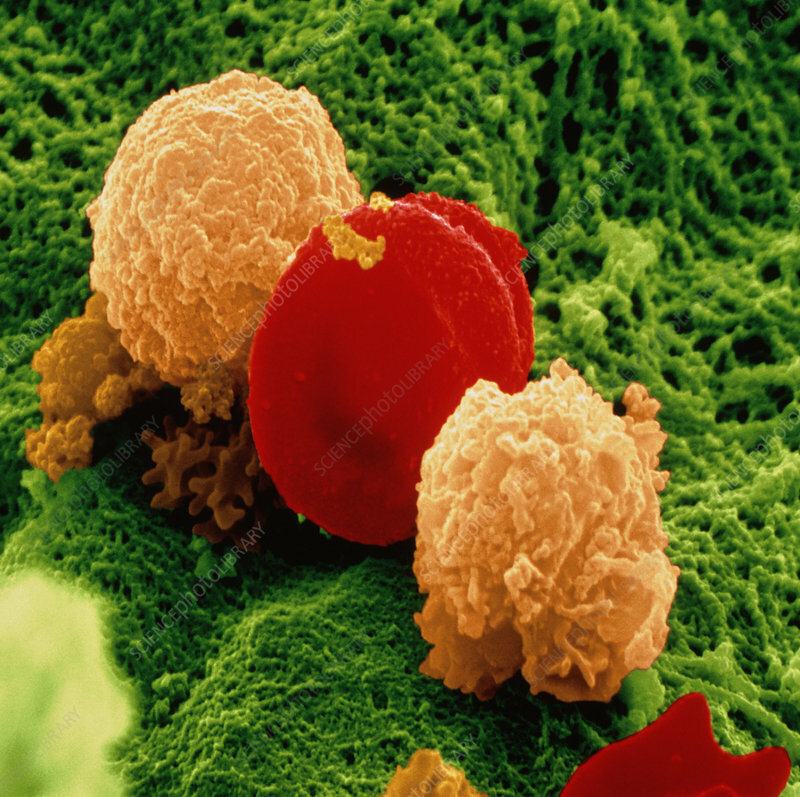 Coloured Scanning Electron Micrograph (SEM) of two white blood cells (lymphocytes) on the surface of a blood vessel. A red blood cell (erythrocyte) is seen at centre between them. Small microvilli projections occur on the surface of the lymphocytes. Lymphocytes are involved in the body's immune response, acting to protect against infection. Two main types of lymphocytes occur in the human body: T-cells and B-cells. T-cells (thymus-derived) track down and destroy foreign microorganisms directly (as killer T-cells). B-cells (bone marrow derived) identify foreign microorganisms and then make antibodies. Magnification: x3500 at 6x6cm size.